SUWANEE, GA--(Marketwired - February 11, 2015) - Senior Solutions Management Group (SSMG), a leading provider of superior-quality senior care across the Southeast, announced today that it will offer one month of free rent to new residents moving into the Hope Memory Care Center in Fayetteville, GA.
"We wanted to find a way to make it easier for families to transition their loved ones into assisted living," says Chris Sides, President of SSMG. "Our all-inclusive rates make it simple for families to budget for assisted living and memory care. It is our hope that a month of free rent will also provide families with the financial support and solutions they need as they transition their loved one to this community." 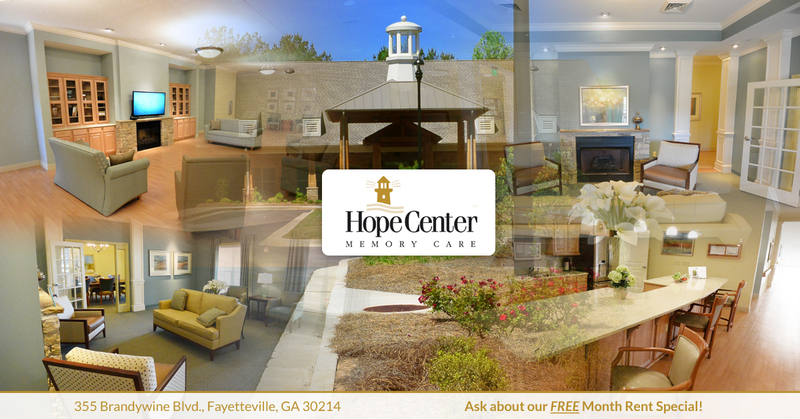 Hope Memory Care Center is a licensed Assisted Living Community located in Fayetteville, GA. Like all of SSMG's facilities, Hope Memory Care Center prides itself on providing the highest quality care with a warm and inviting community. There are four separate self-contained "Villages," each providing accommodations for only 16 residents. The small group setting offers residents a family-like atmosphere wherein each resident is accepted and respected as a member of the family. Within each Village, there is a kitchen, dining room and areas for activities. Creative activities are specifically designed to meet the needs and abilities of residents at various levels of memory loss and cognitive function and are included in the monthly cost. Founded in 2004, Senior Solutions Management Group specializes in senior living. SSMG works with a comprehensive network of professionals, including home health agencies, medical specialists, and hand-selected vendors, to provide the highest-quality living and care facilities available to senior citizens. Senior Solutions will soon operate 14 communities in Georgia, Florida and Tennessee, including beautiful Antebellum Grove in Warner Robins, GA, and River Oaks Place in Lenoir City, TN. Carriage House Inn, located in Shelbyville, TN, offers independent living as well as programs for assisted living and memory care on a long- or short-term basis. For more information, visit www.ssmgrp.com.